Here is a workaround for setting up mex in MATLAB2015a within MacOS Yosemite. You need to install two software packages: Command Line Tools (CLT) and gfortran. Simply download the following and install. (You need Xcode 6.3 or higher as a prerequisite). You will have gfortran-5.0-bin.tar in your downloaded folder. sudo tar -xvf gfortran-5.0-bin.tar -C /. Note that don’t forget “/.” at the end of the command line. You will see some log messages copying files into your /usr/local/bin and related folders. For verification, just type “mex -setup FORTRAN” in MATLAB console. This should show you the following message. MEX configured to use 'gfortran' for FORTRAN language compilation. This entry was posted in MATLAB, Software and tagged gfortran, MATLAB2015a, Mex on May 7, 2015 by enddl22. Cool gadget!! that has tilted props configuration allowing or compensating the drone’s tilting motion that ordinary multirotors should do. They are only required to change rotor speed in order to translate. Have a look the following article and video. This camera drone can shoot stable video without a gimbal. CyPhy Works makes drones that are unique predominantly because they use a microfilament tether to carry power and data that allows for unlimited flight time and flawless high resolution video streaming. 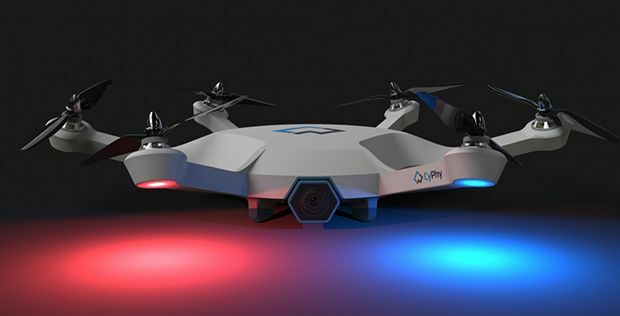 We would have expected that their next drone would have leveraged this technology somehow, but apparently, some engineers at CyPhy had a clever idea and decided to Kickstart a new drone that takes advantage of it with the ability to fly around while remaining completely level. If you want to use your drone to take good video, you usually have to spend an extra eleventy bajillion dollars (or thereabouts) on a stabilized camera gimbal. But seriously, gimbals are expensive: 3D Robotics, for example, sells a gimbal for its Solo drone that (at US $400) is nearly half the cost of the entire drone itself. The reason that you need a gimbal is that whenever the drone moves in any direction besides vertically, it either pitches or rolls, which messes up the orientation of your video unless the gimbal compensates for it. Additionally, a drone that’s pitching or rolling is much harder to steer, because control axes start to shift around. This is all annoying. So can someone fix it, please? Nice, right? By adding a different horizontal thrust component to each rotor and varying the rotor speed (along with some “fancy math”), the CyPhy engineers enabled the LVL 1 drone to translate in any direction, no pitch or roll required. The camera doesn’t need a gimbal, meaning that you can tuck it right into the body of the drone, saving on cost and weight and making crash landings a lot less destructive. Here’s what we’re looking at with the LVL 1: It’s a hexcopter with a 1080p camera that can tilt 90 degrees, 20+ minutes of flight time, battery that charges over USB 3.1, GPS and optical flight stabilization, waypoint following and geofencing, payload mounts (with onboard data and power interfaces), and you control it with an app over WiFi, although you can also use a traditional R/C controller, which is a feature that we love. Also, that level flight capability? You can switch it off if you want to do acrobatics. The LVL 1 is now on Kickstarter (seeking $250k in funding); the first batch went for $400, and the second for $450, but $500 is now the going rate. That’ll get you one drone, a charger, a charging cable, and the app to control it is free. There are a few other things that are worth paying attention to on the LVL 1, like visual feature tracking and the ability to follow you around based on the GPS location of your cell phone. The drone also has the capability of recovering from a motor failure or prop loss, and in some cases, it can even deal with losing two motors at once, flying on just four out of six. We asked CyPhy CEO Helen Greiner about where the idea for this drone came from, and the answer is straightforward: “We invented this great technology that makes drones fly better. Seems a shame not to share it with consumers.” We were also wondering about just exactly how the level flight capability works and how it compares to a conventional drone, and Greiner promised to tell us all about it, just not in the middle of their launch day. We’ll put together an in-depth article on LVL 1, but for now, this thing looks totally cool, and you have until June 18 to decide if you want one for delivery in February of next year. This entry was posted in Quadrotor, Robotics and tagged cyphy works, hexacopter on May 5, 2015 by enddl22.